The Green Heron is a colorful species of heron. They are short and stocky, recognized by their darkish green upperparts and chestnut underparts. 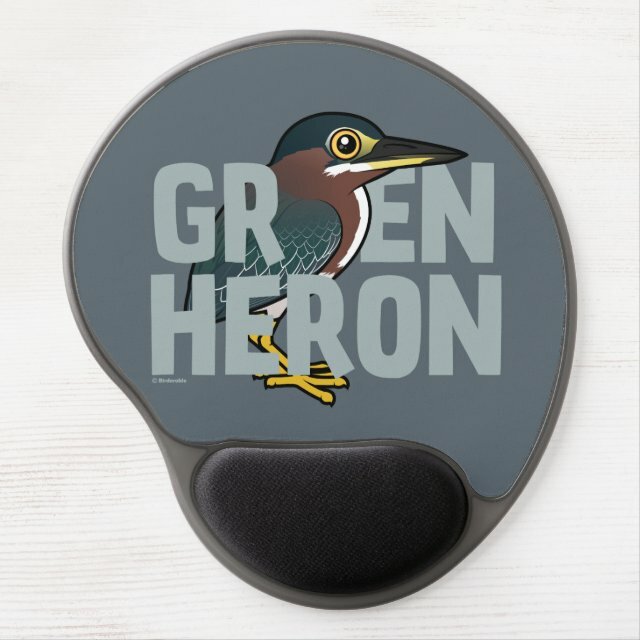 This cute bird design features a Green Heron illustrated in our cartoon Birdorable style along with the text of the bird species written in jumbo letters. This is a cute gift idea for anyone who loves these pretty herons. Decorate your office or home with our contoured oval mousepad! Featuring an ergonomic gel-pad wrist support and non-skid black plastic base, this mousepad will look great with our customizable design.